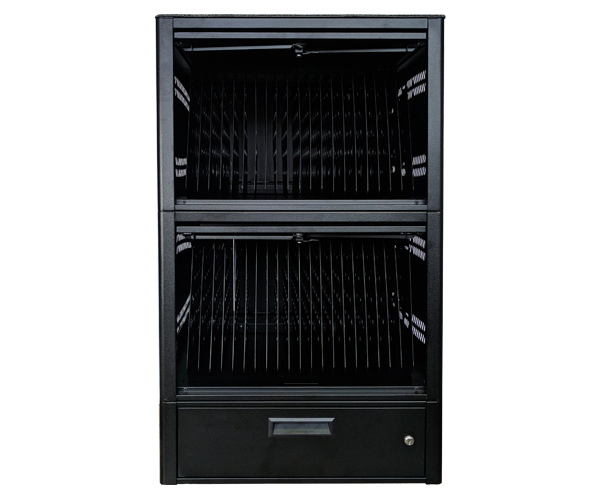 The Ensemble Series not only adds secure, mobile storage space to learning environments with limited square footage, but they can also be assembled vertically and horizontally to fill a wall when large quantities of devices are stored. 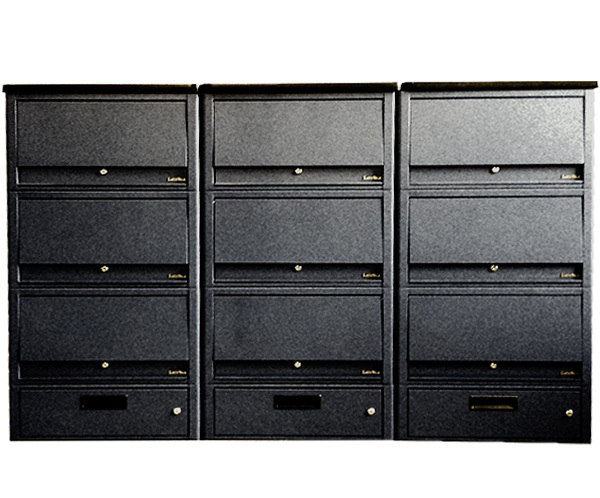 These versatile cubes can be custom-configured as stationary sections, stacked atop of each other, or wall-mounted. 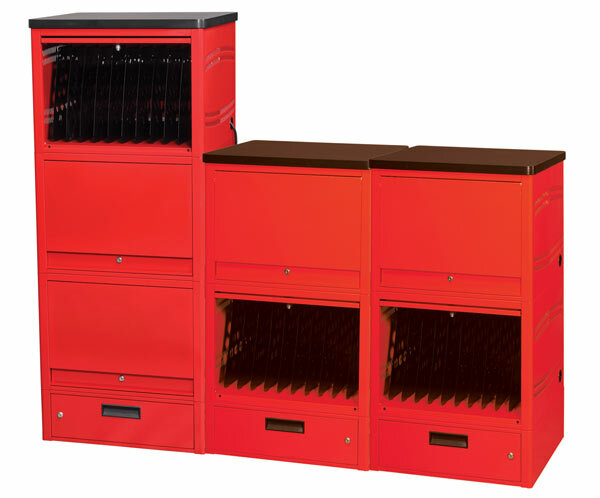 This multi-configuration series can also incorporate up to 20 device compartments per module, integrated built-in battery charging systems, storage drawers and laminate tops. 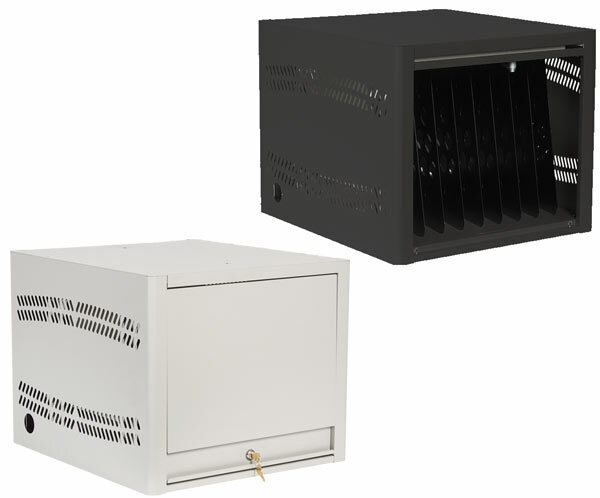 Solid construction using welded steel—as opposed to plastic materials—ensures durable and secure storage of your devices. 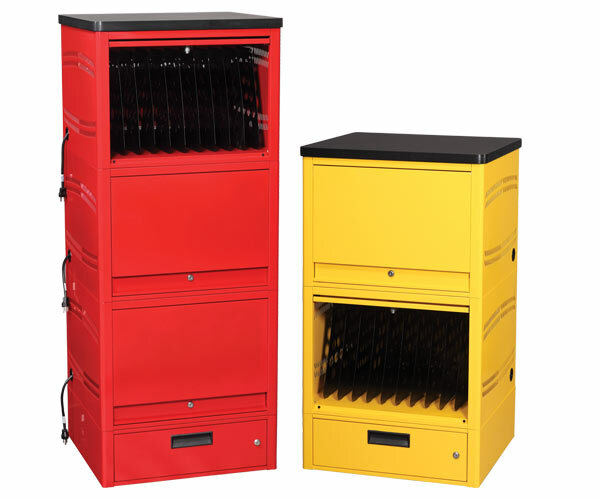 Black is the stock color, but also available in light gray, medium gray metallic, industrial red, blue and safety yellow. Provides a smooth work and writing surface, unobstructed by handles or metal lip. *Actual weight determined by configuration of system.